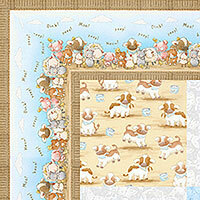 Kittens are about 1-1/8", from the 'Cotton Tale Farm' collection by Bunnies by the Bay for Timeless Treasures. "I've been buying from eQuilter for about a year. 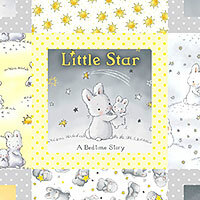 I am fairly new to quilting, the fabric from eQuilter is the best quality and the variety is amazing. I like to make symbolic quilts,..."